Drag the pointer on the timeline above the map to see how many executions have occurred in each state in a given year or overall since 1977, the year after the Supreme Court reaffirmed its approval of the death penalty. 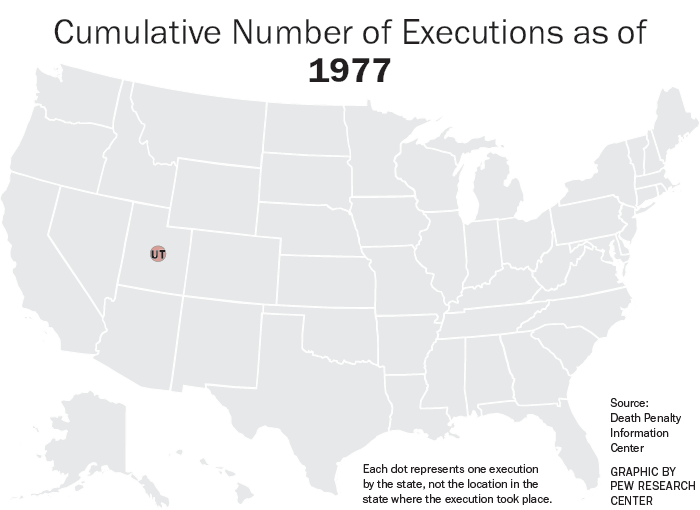 For more information on public opinion about the death penalty, see “Less Support for Death Penalty, Especially Among Democrats” and our other surveys on the topic. Also see a shareable gif of the interactive. Each dot represents one execution by the state, not the location in the state where the execution took place. 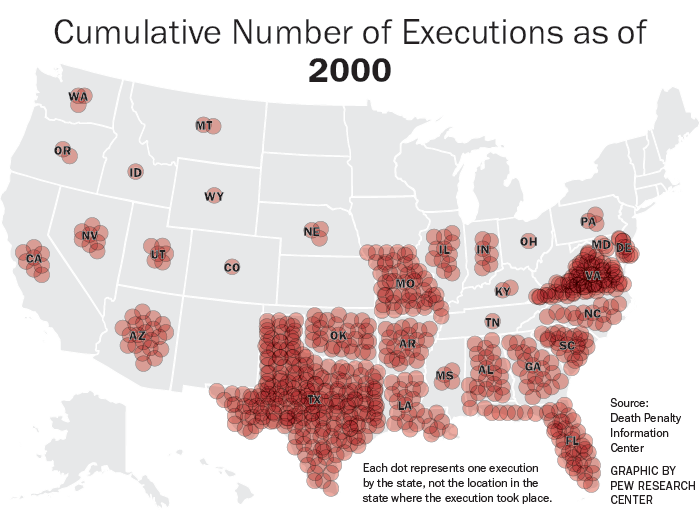 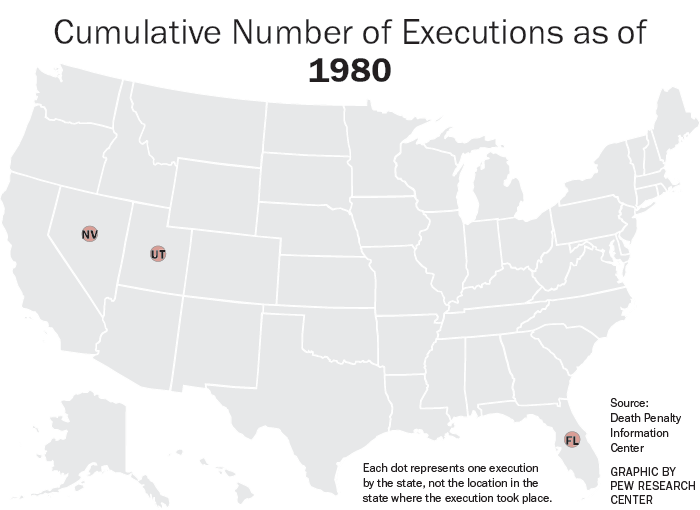 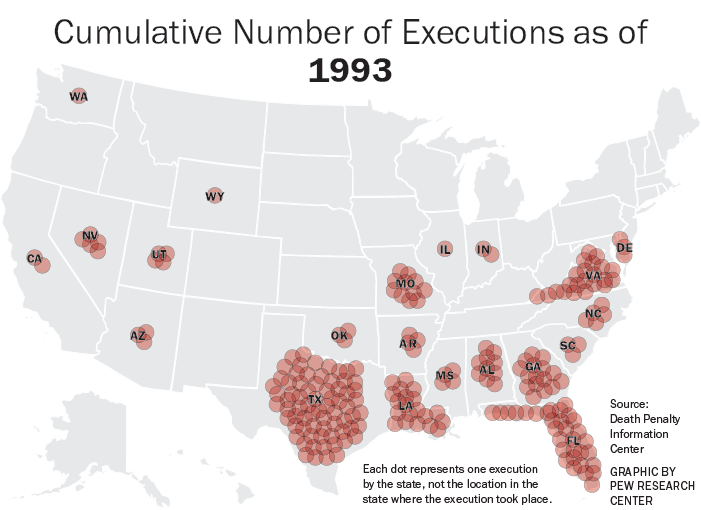 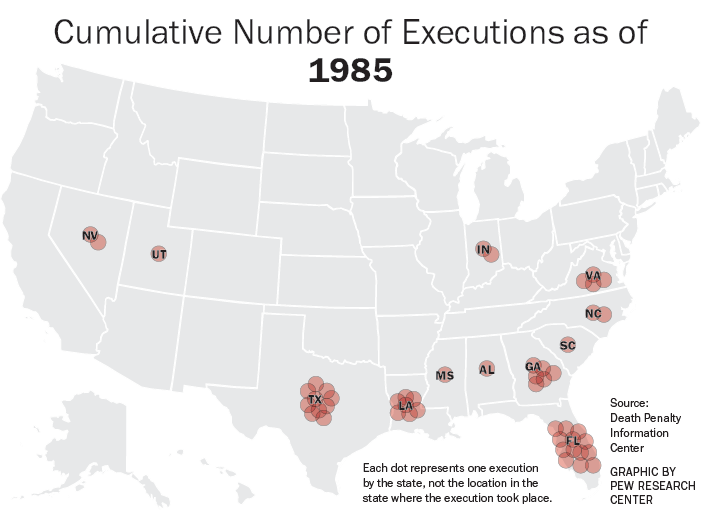 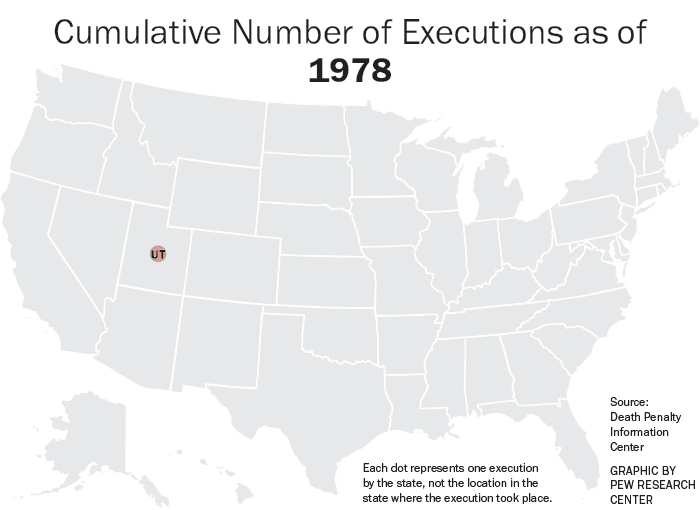 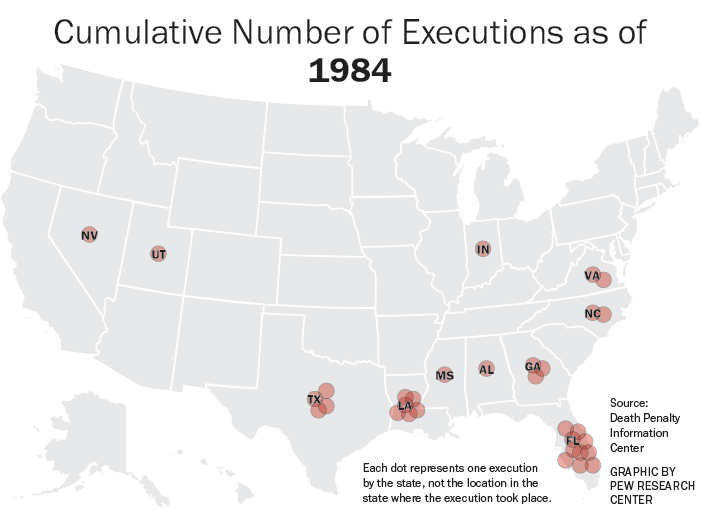 Three federal executions are not shown in interactive map.